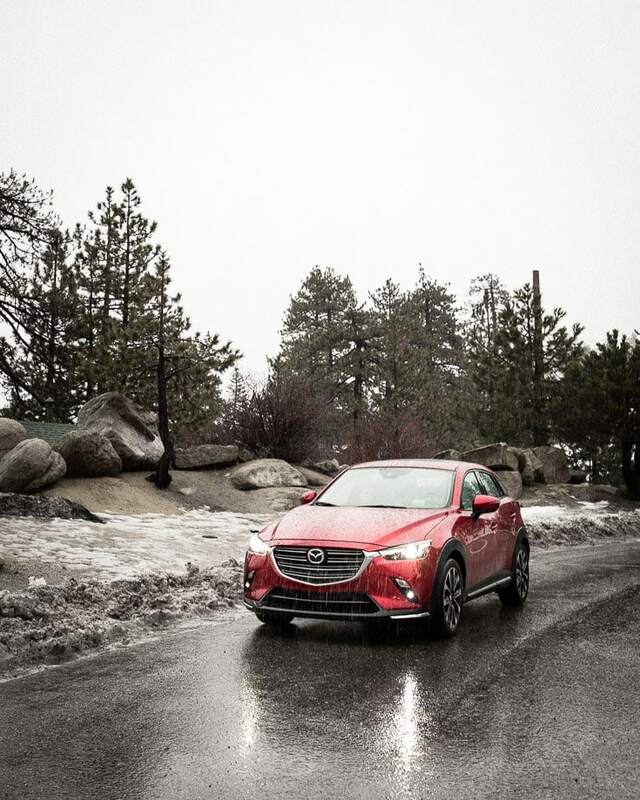 This post was created in partnership with Mazda North America, who provided a CX-3 for our trip. All thoughts and opinions are always my own. 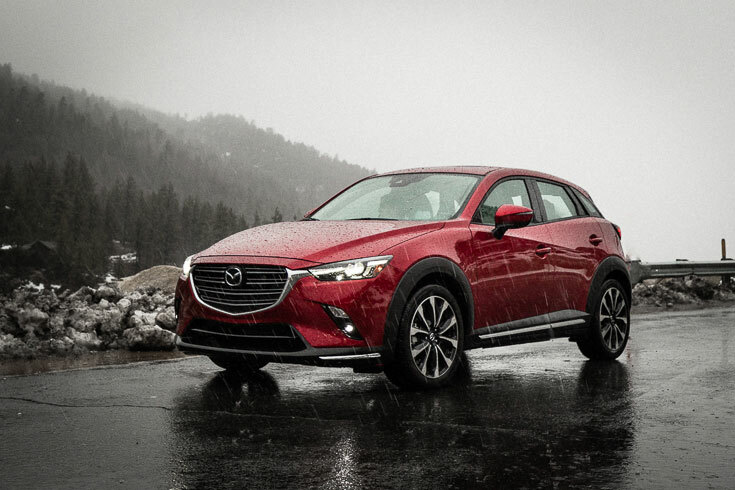 We recently had the opportunity to test drive the 2019 Mazda CX-3 Grand Touring subcompact crossover over a week. We packed it up with gear for few days in the snow and headed up to the mountains. This journey from San Diego to Big Bear Lake is about 2 1/2 hours and gave us some great diverse driving conditions from the beach to the moutains to test out the car. 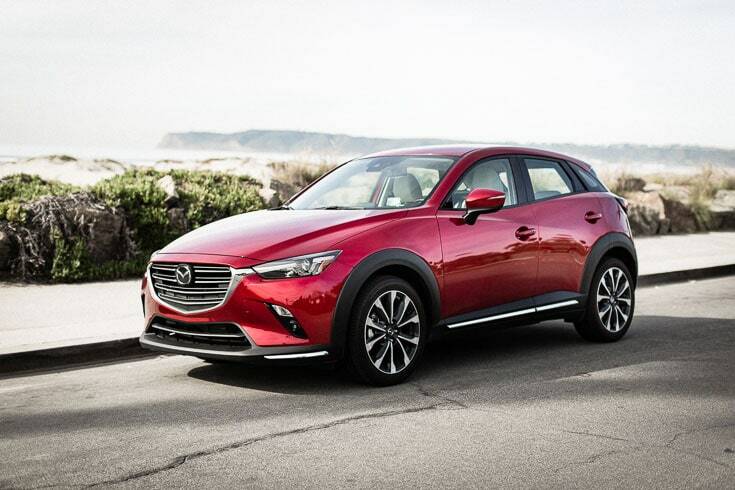 The CX-3 is the smallest SUV in the Mazda line, which worked for us since our daily driver is a Mini Cooper Countryman. It was my wife, our 2-year old son, our labradoodle molly and myself. 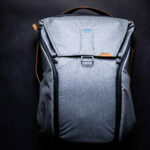 We all fit comfortably along with a stroller, a large duffel bag and even snow sled with no problem. One more person on the trip and it would have been a tight squeeze. The CX-3 Grand Touring has technology that truly enhance the driving experience to reduce stress and improve safety while behind the wheel. 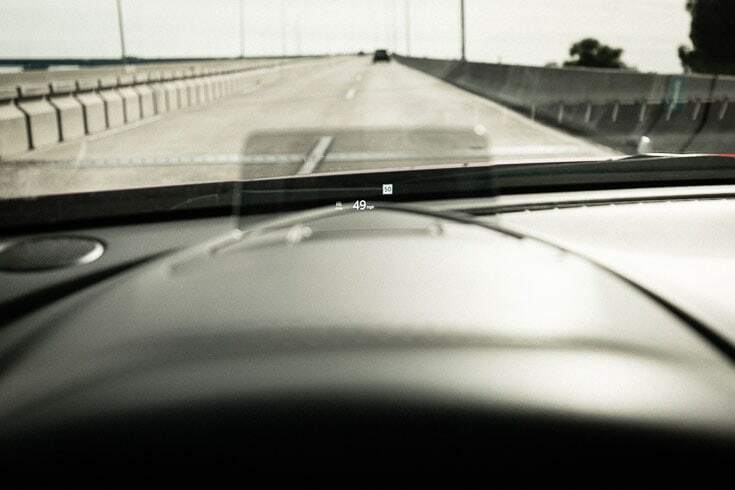 Lane Departure Warning – If you go over the lane line, it will let you know. Smart Brake with Collision Warning and radar for cruise control when the car ahead of you slows down or you get too close; it gives you a warning and the car breaks automatically if needed. Blind Spot Monitoring – You know whenever there is traffic behind you or in your blind spots. It has displays on the mirrors as well as in the active driving display so you don’t have to look away to know if someone is there. Active Driving Display (pictured below) – A small display pops up when the car is on which keeps you informed of your speed, the current road’s speed limit, a notification of any cars are around you, navigation info and all the other info you need to know without looking down. It’s right there in your view to let you know about it all which I found super helpful. In the past, some Mazda cars have felt to blend into the scenery. In the last year or so, I have really taken notice that they have definitely been putting an emphasis on making their cars look awesome and stand out from the crowd. The lines and curves are really eye appealing and the interiors have become something you don’t want to leave. Design isn’t just for looks. The cockpit is well laid out with an attention to ergonomics. Everything nicely in view and within reach. The suede dash and trim is a touch that feels and looks luxurious, while it is actually functional to dampen sounds for a quieter cockpit. The drive is smooth and quiet with sporty handling and a comfortable cabin that I was happy sitting in all day. There isn’t a ton of power until sport mode is engaged, which is a good thing. The fuel economy should be a priority on the highway until you are ready to hit the sport mode switch for some fun around the turns. The fuel economy was quite impressive. It is rated at 34 MPG estimated, but we were getting even higher on the way back to San Diego. The heated steering wheel felt luxurious. While this is something we would use only a few months a year in San Diego; it sure felt like a luxury up in the snowy mountains where the temperature is literally freezing outside. 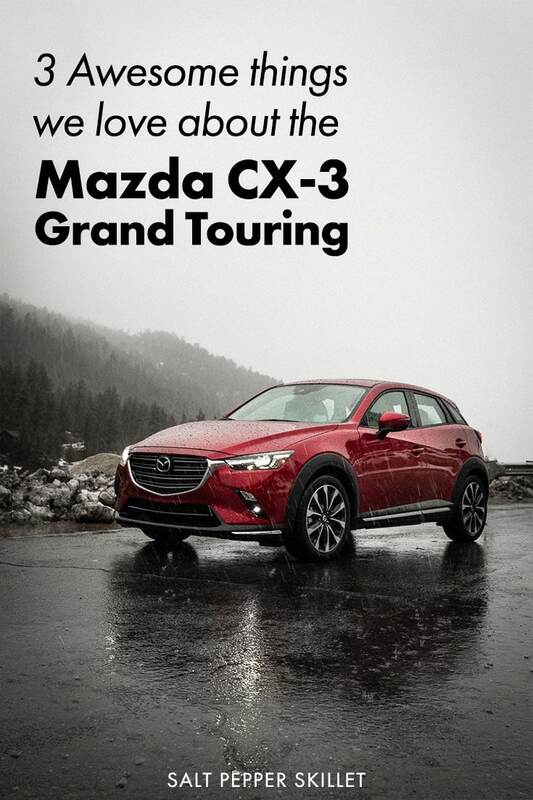 Visit the Mazda North America website for more information about the CX-3.